Priests traveling across Kealakekua bay for first contact rituals. Each helmet is a gourd, with foliage and tapa strip decoration. A feather surrounded akua is in the arms of the priest at the center of the engraving. It is not known what the purpose of the ritual surrounding first contact with Westerners was. The ritual was painted by John Webber, an artist on board Captain Cook's ship. From the arrival of the first Polynesian settlers, to short term rentals and the tourism industry, a new book chronicles the history of human society in the Hawaiian Islands. Hawaii: Eight Hundred Years of Political and Economic Change is the work of University of Hawaii economist Sumner La Croix. The tale begins around 1100-1200 AD, when the first Polynesian settlers arrived in the Hawaiian Islands. It delves into how highly productive taro farms allowed Hawaiian society to advance relatively quickly compared to other civilizations. Next came European contact, and the associated decline in the Native Hawaiian population due to the introduction Western diseases. That in turn disrupts the Hawaiian system of land and labor allocation, eventually giving rise to the sugar industry. As the sugar industry matures and becomes an oligopoly, the European and American residents who control it gain increasing influence over the Kingdom of Hawaii. They pressure King David Kalakaua to sign a free trade treaty and allow the U.S. Navy to operate in the kingdom, eventually leading to the overthrow of the Hawaiian monarchy. The ensuing decades are what La Croix describes as the Colonial Period, what many know as the Territorial Era. He describes how colonial rule by the U.S. federal government simultaneously disenfranchises most residents of Hawaii and extends them the protections of the U.S. Constitution. During World War Two, strict martial law is imposed on Hawaii, revoking many of those new constitutional rights. This ultimately fuels the growing movement for statehood as a bulwark against the future theft of rights. The transition to full statehood comes as the sugar industry is in decline. The removal of protectionist trade measures causes the Hawaii sugar and pineapple industries to lose competitiveness in international markets. The introduction of jet air travel brings the rise of the tourism industry. As sugar plantations close across the islands, workers relocate to Oahu in search of new jobs. The Korean and Vietnam Wars bring an increased U.S. military presence. A more representative state government pursues more progressive policies, expanding access to healthcare and education. So what does the future hold? La Croix says we can’t predict what the dominant industries of the future will be. The key, he says, will be creating an environment that fosters the creation of new businesses and allows existing ones to grow. He also cautions that there will need to be a reckoning with the tourism industry, which is currently attracting ever greater numbers of visitors who are spending smaller amounts of money. La Croix points out that many tourists come to Hawaii to enjoy the natural environment, which is increasingly under stress. Listen to the full discussion with Sumner La Croix here. Honolulu is the third most expensive housing market in the country. That is according to a February analysis from the University of Hawaii Economic Research Organization. But Hawaii has always been an expensive place to live, according to one of the state's top economists. Iolani Palace was all decked out for evening tours this past weekend to honor Queen Kapiolani’s Birthday-- which fell on New Year’s Eve. We went along for a night tour of the palace and talked to authors of a new book about the palace history. We start off with chamber music in the Blue room and end with Hula in the throne room. We were talking to the authors of a new book documenting the palace history, Carol Maxym and MacKinnon Simpson. What if the Great Māhele Wasn't a Foreign Imposition? 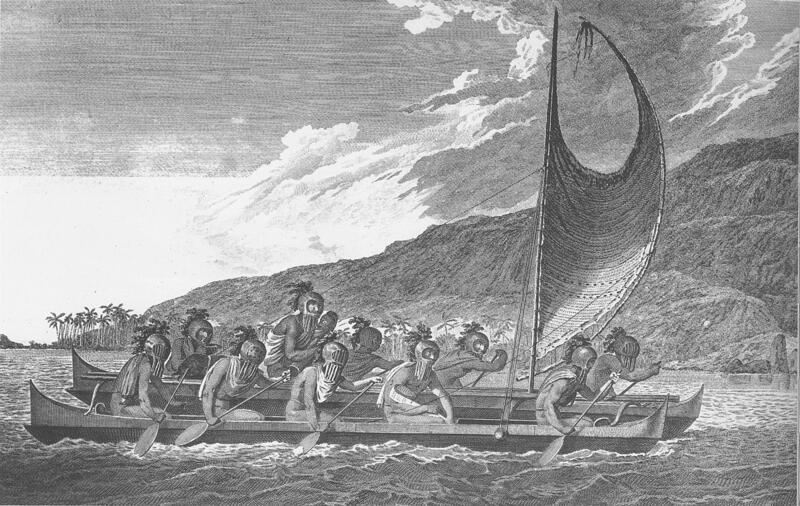 The concept of private property was introduced to Hawaiʻi with the Great Māhele of 1848. That action is often blamed for a lack of land ownership among native Hawaiians…a situation that lasts to this day. Some also say it plays a role in explaining why Native Hawaiians are statistically at the bottom of the barrel when it comes to quality of life. HPRʻs Kuʻuwehi Hiraishi reports on research that sheds new light on this complex history of land in Hawaiʻi.